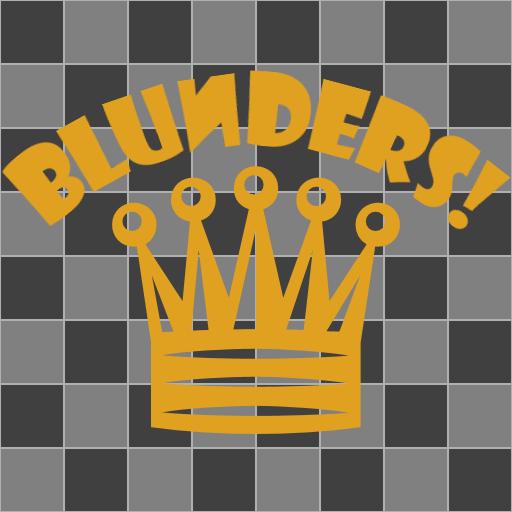 Blunders! 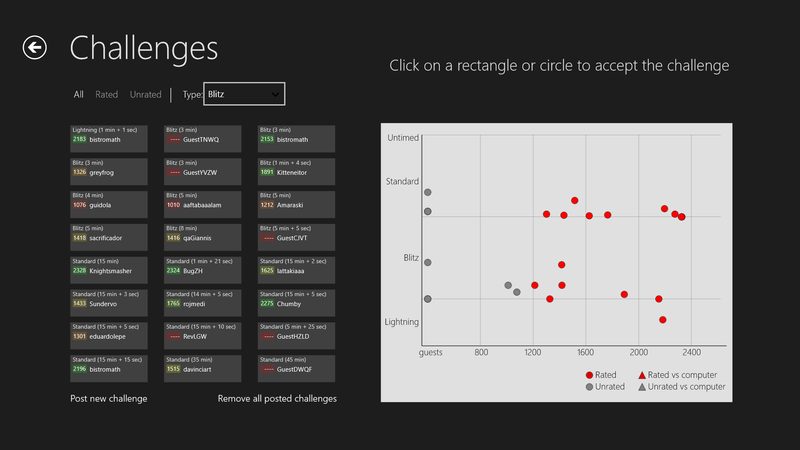 is my first Windows 8 store app. 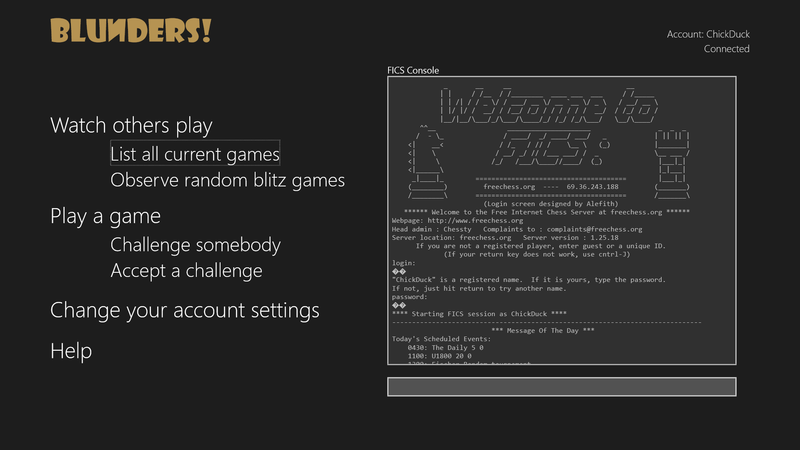 It is a client for the Free Internet Chess Server (FICS). The name comes from a quote of Savielly Tartakower: “Chess is a fairy tale of 1001 blunders“, which could tersely summarize my chess playing style. The genesis of the app was quite simple: some time ago I received a nice Surface as a gift (thank you Steve! 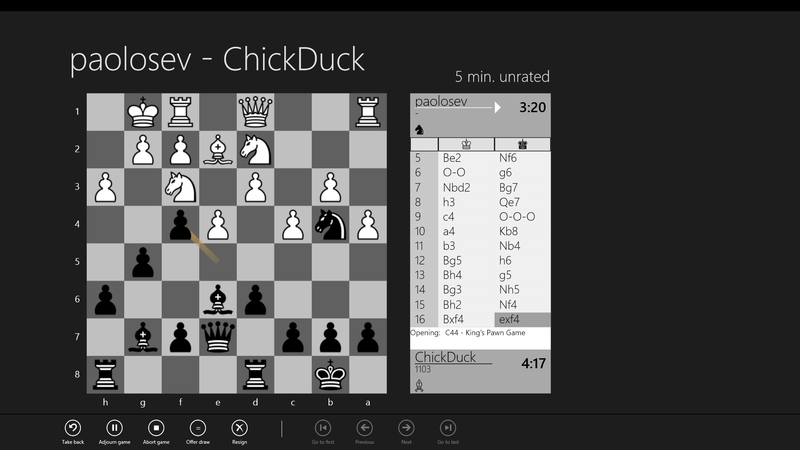 :-)) and I could not find any good client to play chess, so I thought that it could be interesting to write my own, to learn more about Windows 8, WinRT, XAML, MVVM and all the new cool stuff. Blunders! is finally in the Windows App store and you can download it, for free, of course, from here. I also hope to publish soon the (open) sources in codeplex. 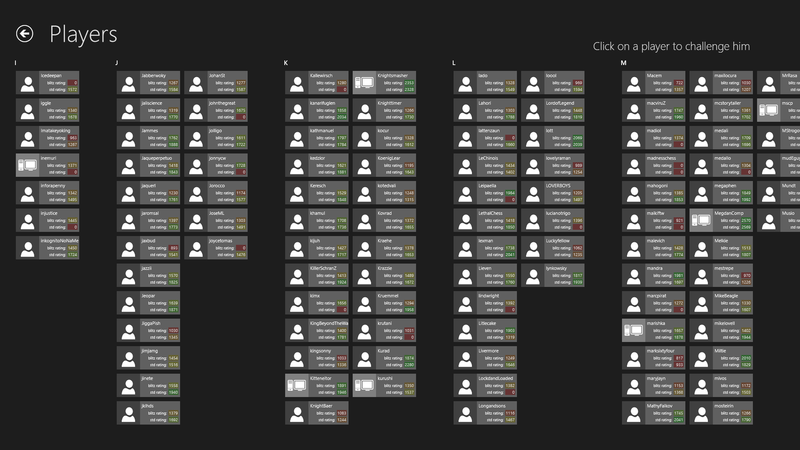 These are a few screenshots, starting with the main page, with the FICS console window. Non-standard chess rules (like Fischer random, atomic, bughouse, suicide) are not supported yet.